At Vorp Energy we no longer offer PWM chargers with our kits. Our Remote Solar Power Kit and Solar Powered Surveillance Skid use a more advanced 3-Stage Max Power Point Tracking (MPPT) charging system. The Outdoor UPS Battery Backup System also uses an advanced 3-Stage charging system. Learn more about MPPT charging here! Pulse Width Modulation (PWM) is the most effective means to achieve constant voltage battery charging by switching the solar system controller’s power devices. When in PWM regulation, the current from the solar array tapers according to the battery’s condition and recharging needs. PWM Solar Chargers use technology similar to other modern high quality battery chargers. When a battery voltage reaches the regulation set point, the PWM algorithm slowly reduces the charging current to avoid heating and gassing of the battery, yet the charging continues to return the maximum amount of energy to the battery in the shortest time. The result is a higher charging efficiency, rapid recharging, and a healthy battery at full capacity. In addition, this new method of solar battery charging promises some very interesting and unique benefits from the PWM pulsing. Ability to recover lost battery capacity and desulfate a battery. Dramatically increase the charge acceptance of the battery. Maintain high average battery capacities (90% to 95%) compared to on-off regulated state-of-charge levels that are typically 55% to 60%. Reduce battery heating and gassing & Automatically adjust for battery aging. Self-regulate for voltage drops and temperature effects in solar systems. According to the Battery Council International, 84% of all lead acid-battery failures are due to sulphation. Sulphation is even more of a problem in solar systems, since “opportunity charging” differs significantly from traditional battery charging. The extended periods of undercharging common to solar systems causes grid corrosion, and the battery’s positive plates become coated with sulfate crystals. PWM pulse charging can deter the formation of sulfate deposits, help overcome the resistive barrier on the surface of the grids, and punch through the corrosion at the interface. In addition to improving charge acceptance and efficiency, there is strong evidence that this particular charging can recover capacity that has been “lost” in a solar battery over time. Charge acceptance is a term often used to describe the efficiency of recharging the battery. Since solar batteries are constantly recharging with a limited energy source (e.g. 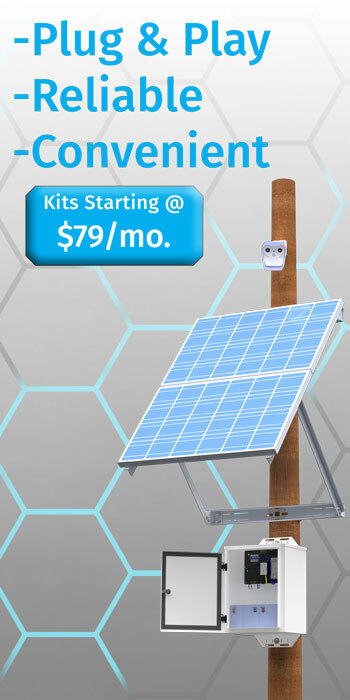 opportunity charging with available sunlight), a high charge acceptance is critical for required battery reserve capacity and system performance. A high battery state-of-charge (SOC) is important for battery health and for maintaining the reserve storage capacity so critical for solar system reliability. Individual battery cells may increasingly vary in charge resistance over time. An uneven acceptance of charge can lead to significant capacity deterioration in weaker cells. Equalization is a process to overcome such unbalanced cells. The increased charge acceptance and capacity recovery capabilities of PWM pulse charging will also occur at lower charging voltages. Clearly battery heating/gassing and charge efficiency go hand in hand. PWM will complete the recharging job more quickly and more efficiently, thereby minimizing heating and gassing. The ionic transport in the battery electrolyte is more efficient with PWM. After a charge pulse, some areas at the plates become nearly depleted of ions, whereas other areas are at a surplus. During the off-time between charge pulses, the ionic diffusion continues to equalize the concentration for the next charge pulse. In addition, because the pulse is so short, there is less time for a gas bubble to build up. The gassing is even less likely to occur with the down pulse, since this pulse apparently helps to break up the precursor to a gas bubble which is likely a cluster of ions. As batteries cycle and get older, they become more resistant to recharging. This is primarily due to the sulfate crystals that make the plates less conductive and slow the electro-chemical conversion. However, age does not affect PWM constant voltage charging. The PWM constant voltage charging will always adjust in regulation to the battery’s needs. The battery will optimize the current tapering according to its internal resistance, recharging needs, and age. The only net effect of age with PWM charging is that gassing may begin earlier. With PWM constant voltage charging, the critical finishing charge will taper. This provides a self-regulating final charge that follows the general shape of this equation. As such, external system factors such as voltage drops in the system wires will not distort the critical final charging stage. The voltage drop with tapered charging current will be small fractions of a volt. In contrast, an on-off regulator will turn on full current with the full voltage drop throughout the recharging cycle (one reason for the very poor charge efficiency common to on-off regulators). In summary, the PWM constant voltage series charge controller will provide the recharging current according to what the battery needs and takes from the controller. This is in contrast to simple on-off regulators that impose an external control of the recharging process which is generally not responsive to the battery’s particular needs. How do I Size the Solar Array for my Remote Surveillance System? © Copyright 2019 Vorp Energy. All Rights Reserved. Have a particular project in mind? Tell us about it here, including the equipment (with part numbers if you have them) that you would like to power.